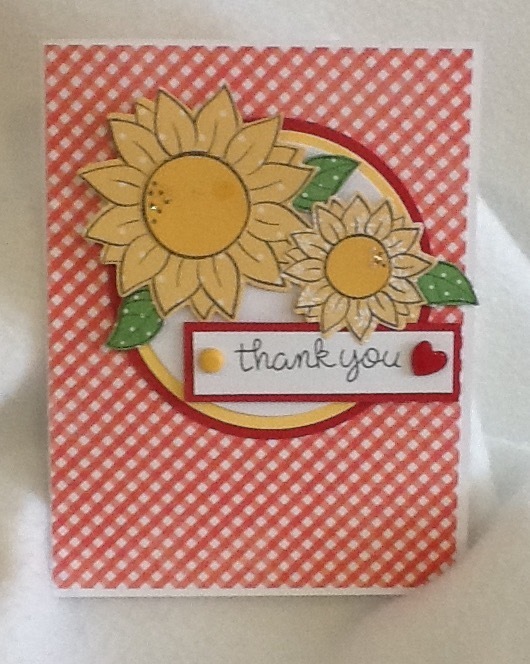 Red Gingham and Yellow Daisies! Lawn Fawn stamps and die cuts work so well together. I used patterned paper for the flowers, leaves and accent paper for the front of the card. I used three different die cut circles for the background and added a word banner. The last touch was a small glossy accent heart. A simple card sketch layout that can be used for many different cards.